I've put together a few of my makeup pieces I take on-the-go for touch ups purposes. 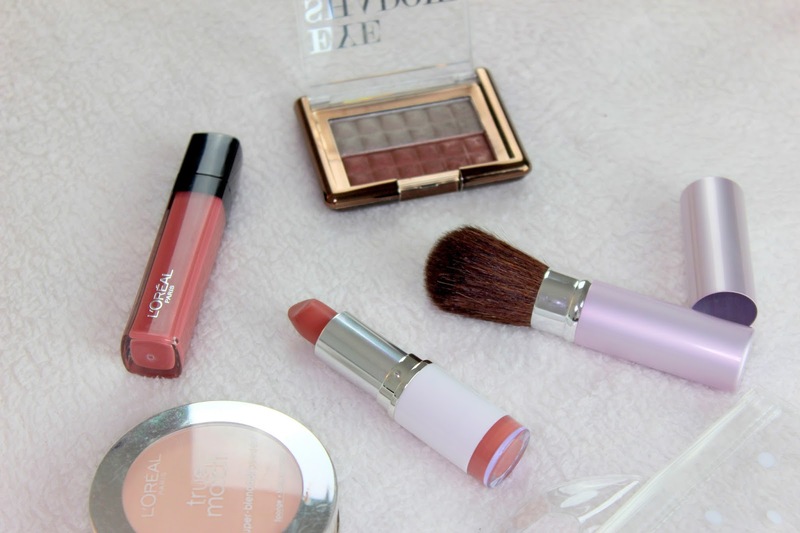 As you know I love my cranberry, plum, brown and mauve shades it's only fitting that I carry pieces that resemble me. So this beautiful eye shadow palette from H&M is adorable for day to night looks, and its perfect smooth pigments make it easy to top up. 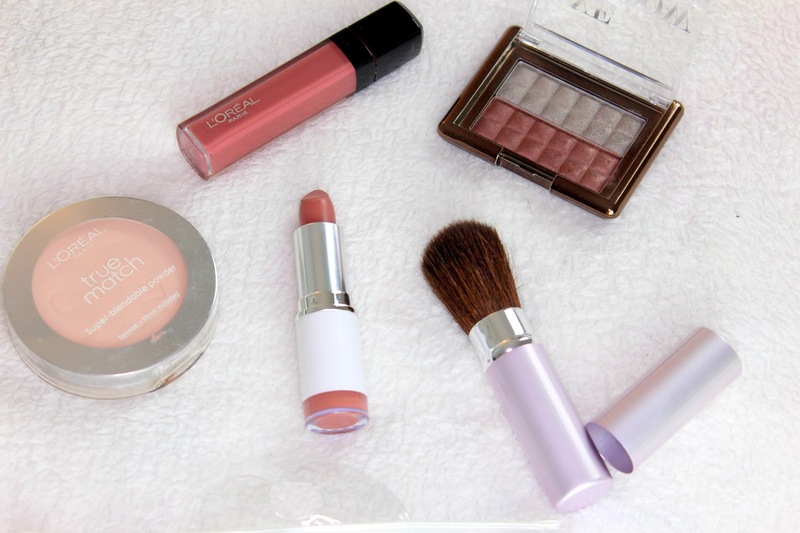 The pretty mauve shade lip gloss by L'Oreal is one of my favourite glosses with its creamy smooth and long-lasting formula. It is a very "my lips but better" shade (check out pictures and review here) and beautiful to wear with mostly anything. I also carry with me my MUA fawn fancy lipstick. The light brown shade is perfect to wear with many looks. When applying my makeup I typically set my face with M&S loose powder but once on the go I will use (if necessary) a pressed translucent powder (less messy) like this one by L'Oreal to control shine and oil build up. I hope you liked finding out what makeup pieces I take on-the-go and has inspired you to carry a few essentials in case of last minute touch ups. 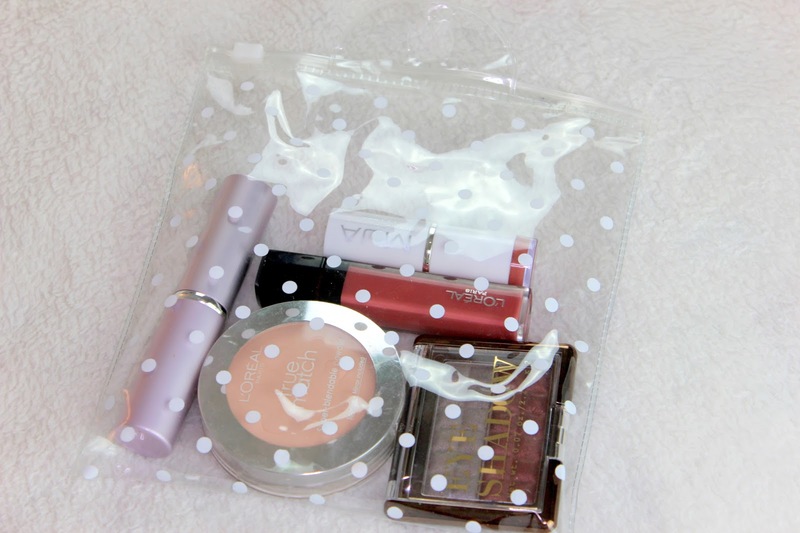 What makeup bits do you carry with you? 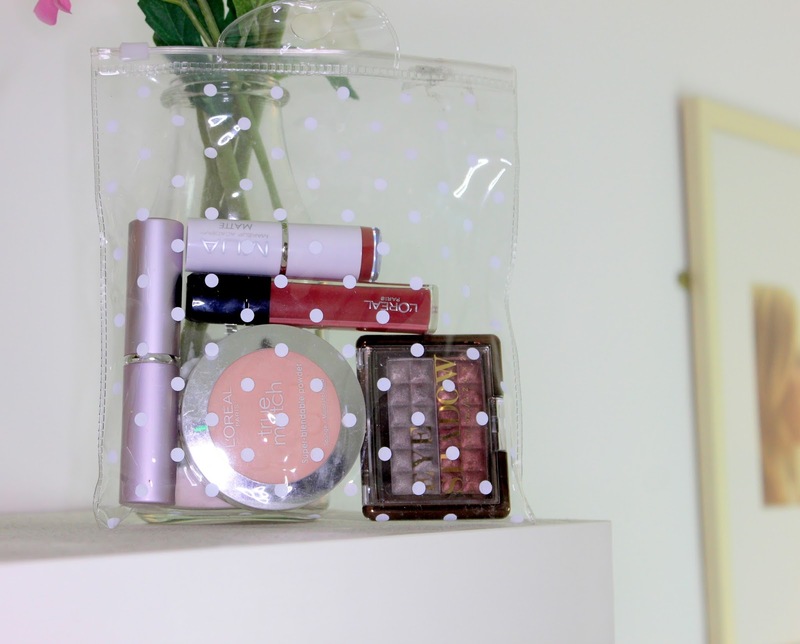 I just made a similar blog post about what I carry in my touch up kit- you should check it out! I love all of this makeup! And what a cute kit!